The college work load can be time consuming. In addition to working to keep up with finances and maintaining a social life, trying to complete every assignment and finding enough time to study for exams is a never-ending battle. Nevertheless, some college students even play sports for their school. After interviewing with two freshman who play on the Camden County College women’s soccer team, it’s clear that a rookie athlete’s feelings towards coming into college playing a sport are similar, as are the ways of balancing whatever life throws at them. Rachel Ingram, an 18-year-old freshman biology major from Pennsauken said that the team practices three days a week and has games another two to three days a week. “It’s not hard to balance everything if you time manage yourself,” Ingram said. “I still think it’s good to play because you can learn a lot about yourself on and off the field. It has definitely helped me, and I love playing, so getting to play still gives me something to look forward to” Roselle said. “It’s good to be on a team where the other girls are doing the same things, so we are all here to help each other,” Roselle added. 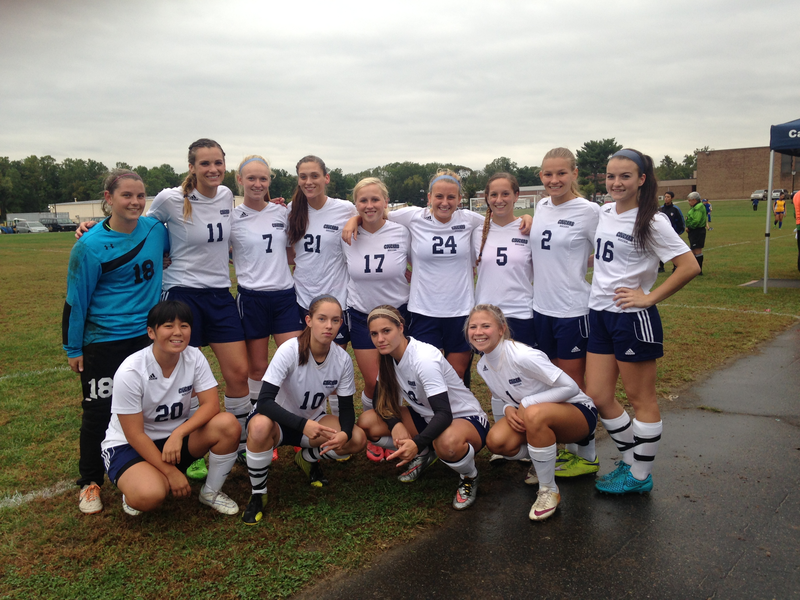 The Camden County women’s soccer team ties their game 2-2 with rival RCGC after double over time. The women both agreed that playing a college sport as a freshman gave them friends from the beginning of college, along with a built-in support system. Roselle and Ingram encouraged those passionate about playing soccer to try out for the team next season.